Sometimes, standard security falls short when it comes to enforcing the safety of your belongings. If you feel the same, it is high time to look for a high-security grade 1 locks installation service in McAllen. The types of lock you choose for your doors decide how secure your home or office is. If you don’t want to end up paying for costly liabilities that can result from security breaches, it is better to install a high-security grade 1 lock. At McAllen Locksmith Pros, we understand all these factors, and hence we provide excellent high-security grade 1 locks installation services. What Is A High-Security Grade 1 Lock? A high-security lock is a durable and robust lock made out of highly advanced components. Designed with a locking mechanism that is tough to pick, these locks are efficient enough to keep vulnerable spaces properly secured. These locks are incredibly durable and provide maximum security that every office or home must have. Installing a high-security grade 1 lock reduces the risks of theft and illegal access to your property. These are particularly useful on entry doors and built to last even in the harshest conditions. That means you need not to replace the lock after every few months as they are durable and don’t get damaged easily. McAllen Locksmith Pros is a leading name in McAllen, Texas when it comes to residential and commercial locksmith services. We are highly experienced mobile locksmiths with 5+ years of experience in the industry. With a prompt and reliable team, we can tackle all type of high-security grade 1 lock installation projects. As an accredited, bonded, and insured locksmith, we take complete care of the safety and security while mounting the lock. We have expert technicians in our team who undergo thorough training and stay up to date on latest equipment to make sure you are never shortchanged when you call us. Every project is equally important to us, and we use cost-effective procedures to boost security. We Handle High-Security Grade 1 Lock Repair Too! 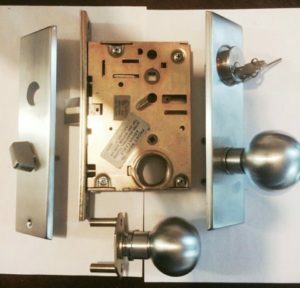 If you already have a high-security lock installed in your home or office that needs to be repaired for proper functioning, we can help. We always stock latest equipment and tools for fast repair, and we strive to tackle every repair projects of high-security grade 1 lock promptly. 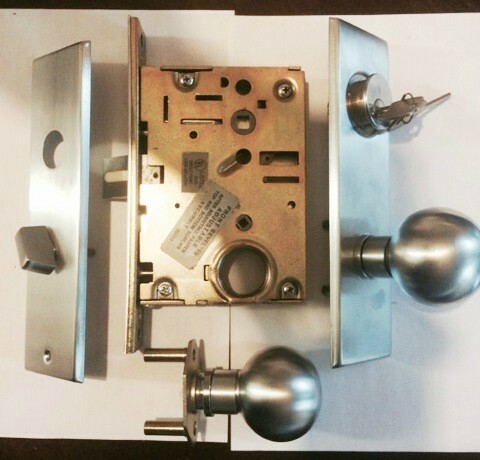 Our locksmith can effectively repair all the vintage or modern locks by reputable brands. We make sure you receive exactly what you are looking for at a price you can afford. We have 5+ years of experience with an expert technician who undergoes constant training in new methods for all types of lock services. Our team stays updated with the latest lock technology, and we aim to provide fast, friendly and reliable solutions. With upfront pricing policy and a team of licensed, bonded and insured technicians, we implement a proper procedure to install and repair the high-security grade 1 locks securely. Plus our 24-hour availability to tackle any emergency locksmith situation is something that makes us a reliable locksmith. With our expertise, we can provide high-quality locksmith solutions that will last longer than other projects done by amateurs. Best of all, we guarantee half an hour less response times no matter what. Here is what we offer. Need High-Security Grade 1 Lock? Give Us a Call! We understand how vital the high-security locks are for your home or business. This is why we provide the best high-security grade 1 lock installation service in McAllen. We know that having fully functional and state-of-the-art locks are vital for your security, and hence we offer an efficient repair service for inefficient, defective, broken locks. You can expect honest and upfront price and the best services from us. We also have the required equipment to carry out installations and repairs of high-security grade locks. The bottom line is, whether you need high-security grade 1 locks installation service in McAllen, Texas or other lockout services, we are the locksmith to call. Get Enhanced Security at an Affordable Price with New High Security Grade 1 Locks https://locksmithmcallen.com/commercial/high-security-grade-1-locks/ 4.0/5 based upon 9 reviews.